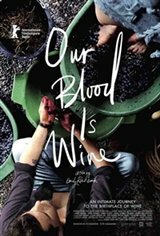 Filmmaker Emily Railsback and sommelier Jeremy Quinn provide intimate access to rural family life in the Republic of Georgia as they explore the rebirth of 8,000 year old winemaking traditions almost lost during the period of Soviet rule. By using unobtrusive iPhone technology, Railsback brings the voices and ancestral legacies of modern Georgians directly to the viewer, revealing an intricate and resilient society that has survived regular foreign invasion and repeated attempts to erase Georgian culture. The revival of traditional winemaking is the central force driving this powerful, independent and autonomous nation to find its 21st century identity.